GRAFENWOEHR, Germany — Warm weather is giving way to cold, which means you should prepare your vehicle now for winter. One important thing to know before you hit the road in winter is that Germany has different tire requirements than the United States. 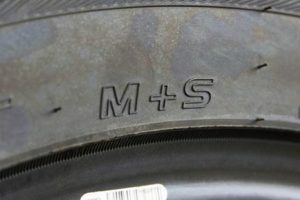 European winter tires have two kinds of markings: a snowflake for snow tires or M+S for tires designed to work in mud and snow, or “matsch und schnee” in German. All-season or all-weather tires may also have the and are acceptable for winter driving, but tires designed specifically for snow function better than all-weather tires. Because you reside in Germany, you may be asking: What kind of winter tires does the German law require? First, it is very important to look for certain signs placed on the tire. In November 2010, the Bundestag, Germany’s parliament, passed a new federal law that is much more specific about winter tires. This German federal law was amended in 2015 to require the use of winter tires when conditions are icy. 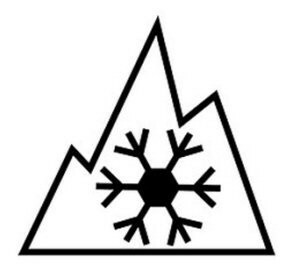 As of January 2018, new fabricated winter tires must be marked with the Alpine-Symbol (a 3-peak mountain with a snowflake in the center). If you own all-season tires or winter tires marked with M+S and produced prior to 2018, they are still approved until Sept. 30, 2024. The law also apply to motorbikes, trucks and buses, regardless of whether the driver is the owner or is renting the vehicle. All of these vehicles must be equipped with winter tires if you drive in snow or icy conditions. Winter tires must be marked with the 3-peak mountain and snowflake by Sept. 30, 2024. Tires marked only with M+S, which stands for mud and snow traction, may serve as your winter tire through Sept. 30, 2024. The German law mandated by the Bundestag requiring winter tires during icy conditions does not specify specific dates, according to ADAC, the German auto club that provides roadside assistance and air rescue. Many German drivers, however, abide by the general rule of “von O bis O” (from O to O), which means snow tires should be put on in October and remain on until Ostern (Easter). According to the USAG Bavaria Safety office and ADAC, to drive in Germany — no matter the road conditions — ensure you have a tire tread depth of at least 1.6 millimeters. The best is to have 4 millimeters, according to ADAC. A one euro coin can be used for a quick “tread check.” When placed in the tire’s tread, you should not be able to see the golden edge of the coin. If you can, the tire needs to be replaced. Tires can be ordered, purchased and changed on-post at the Car Care Centers in Vilseck and Hohenfels. You can also purchase tires at the Tower Barracks Main Exchange and change them yourself at the Auto Skills Center. In some parts of Germany, particularly in the southern mountainous region, it is recommended by USAG Bavaria Safety office and ADAC to carry snow chains. Know how to put them on before you need them, and make sure you don’t exceed 50 kph when driving with them. If you’re unsure if other countries have similar tire laws, check the European Road Safety website . And for more on winter driving, check out the Army Europe Drivers Handbook and Examination. Remember, if you don’t follow these requirements, you can receive a ticket of 80 euro or higher. If you have questions, contact USAG Bavaria Safety office at DSN 526-2303, CIV 09641-70-526-2303. Be smart and drive safe Bavaria!